There are a few products that I always turn to for a special occasion, or when I want to guarantee that my skin will look lovely! 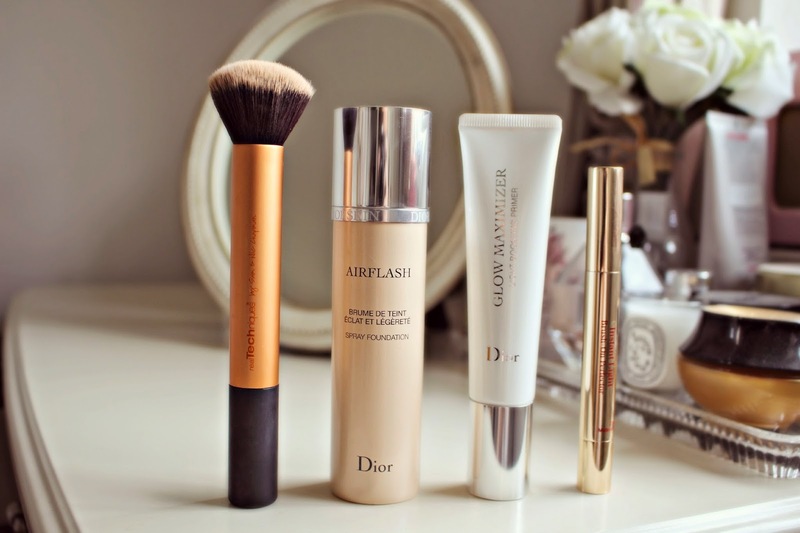 The most important part of the routine is the base, and these are the three products that I always reach for; the Dior Airflash Spray Foundation, the Dior Glow Maximizer Light Boosting Primer, and my favourite highlighter, the Clarins Instant Light*. 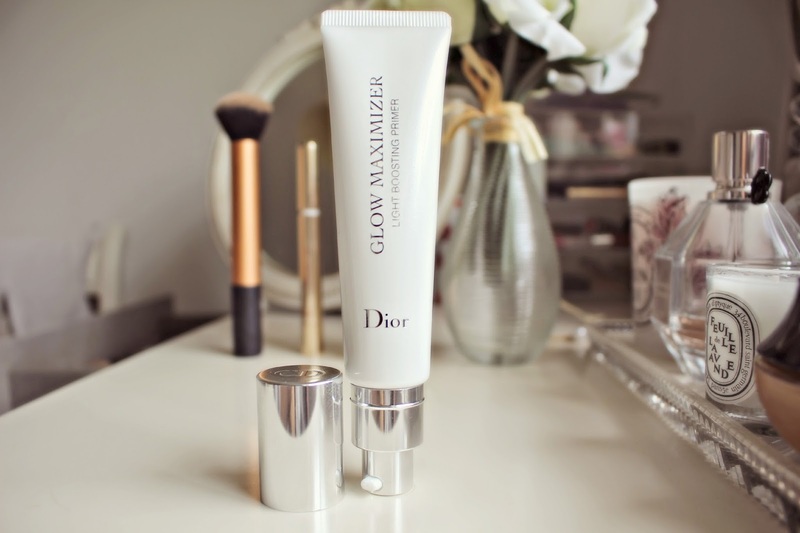 The Dior Glow Maximizer Light Boosting Primer is essentially glowy, dewy skin in a tube! The pearly liquid creates a luminous base which enhances skins radiance under your foundation. Alternatively for an even more dazzling finish, you can blend with foundation – but as my foundation of choice is the Airflash Spray – that would be a little tricky! Warning – when this product says light boosting – boy does it mean it! You won’t need added highlighter and the trick is to be light handed and apply where you need it. It’s perfect on grey days when lacklustre complexions need added Oomph! The Diorskin Airflash Spray Foundation is a treat to use all year round, but I particularly love it in Summer because of the instant finish and ease of use. I was a little nervous to try this, but it is SO easy, you just close your eyes and spray in a circular motion. You can then blend with fingers or a foundation brush, and I like to use this blender brush from Real Techniques to buff out a flawless finish. It has medium coverage, allowing the radiant primer to glow through, leaving you with a luminous and truly flawless complexion! Finally – for those mornings after the night before, the Clarins Instant Light Brush-On Perfector is a makeup bag essential and the final touch when I want to create a radiant base. I would explain it as a lighter, brighter version of the Touche Eclat, and have reviewed it here! 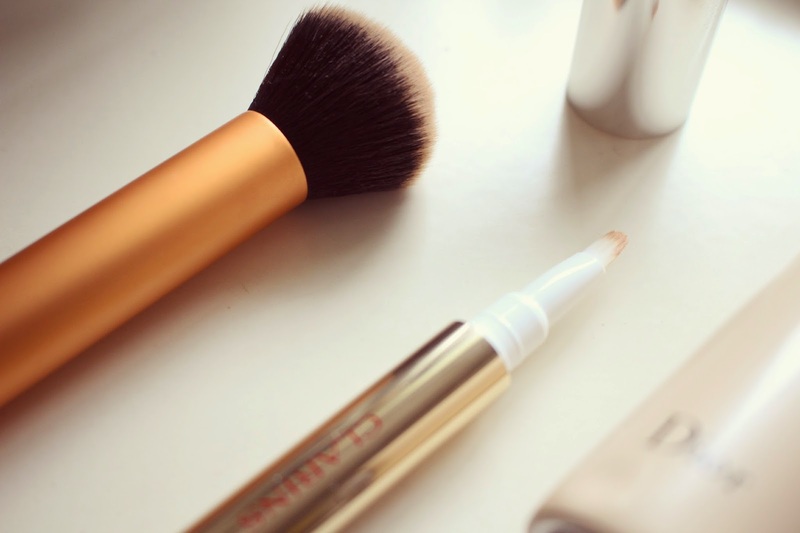 What are your favourite luxury beauty products for creating a flawless, radiant finish?